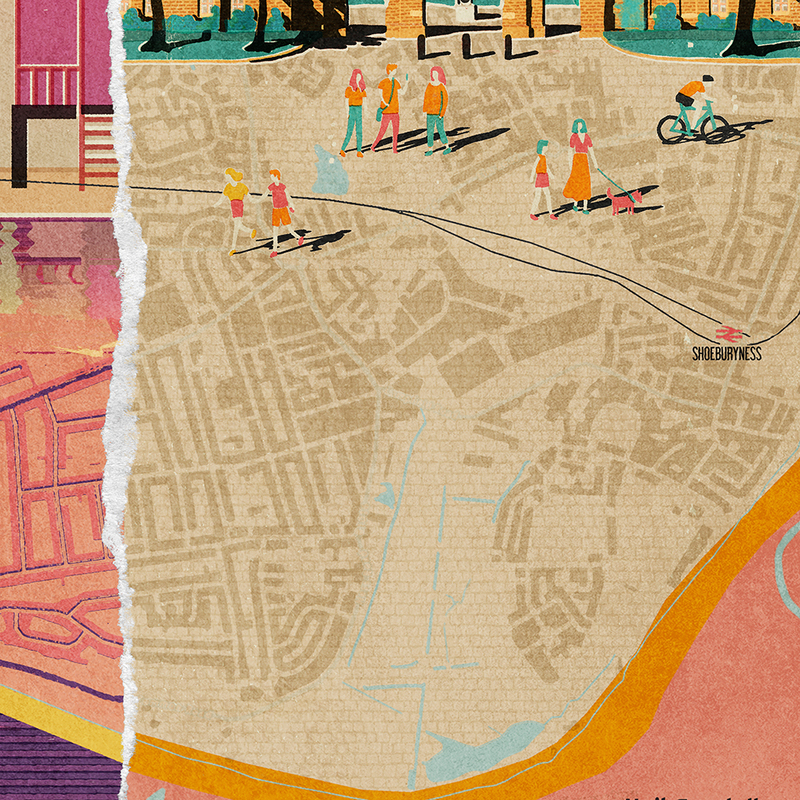 I wanted to create a special piece combining all posters along the Southend stretch of the Estuary from Leigh-on-Sea to Shoeburyness. 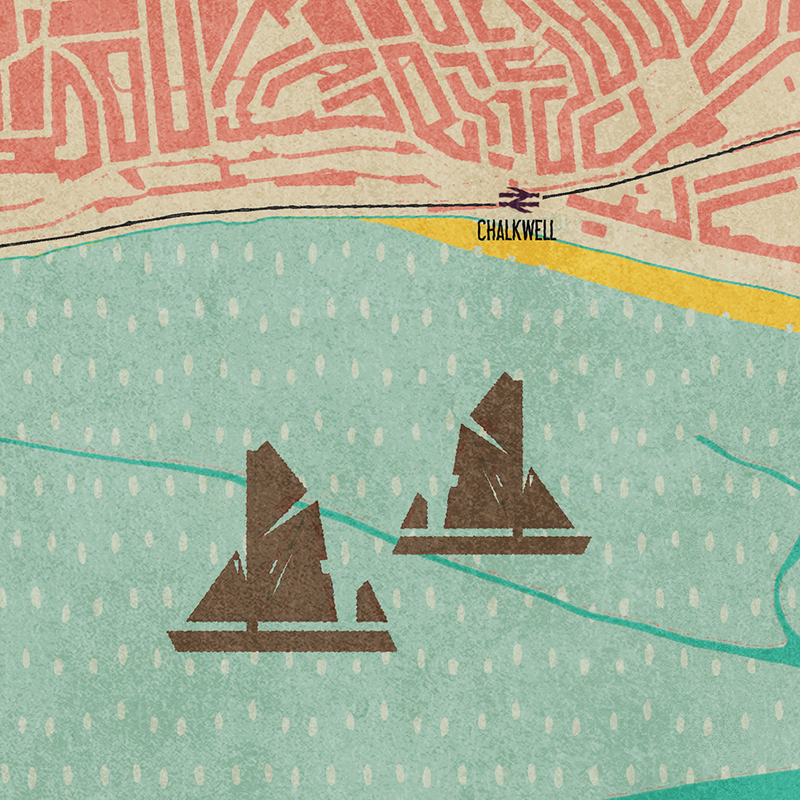 I also wanted a way to link all the posters geographically to the Thames Estuary and to each other so I have merged them with a map of the sea front. I have combined these with the ripped poster effects I recently experimented with for the 2018 Leigh Art Trail, this has resulted with a very unique Fendell Poster. Signed framed prints available from Puddle & Goose in Leigh-on-Sea, Essex. Photo showing the exquisitely framed print in a hight quality sleek black frame proudly on display in the window of Puddle & Goose. 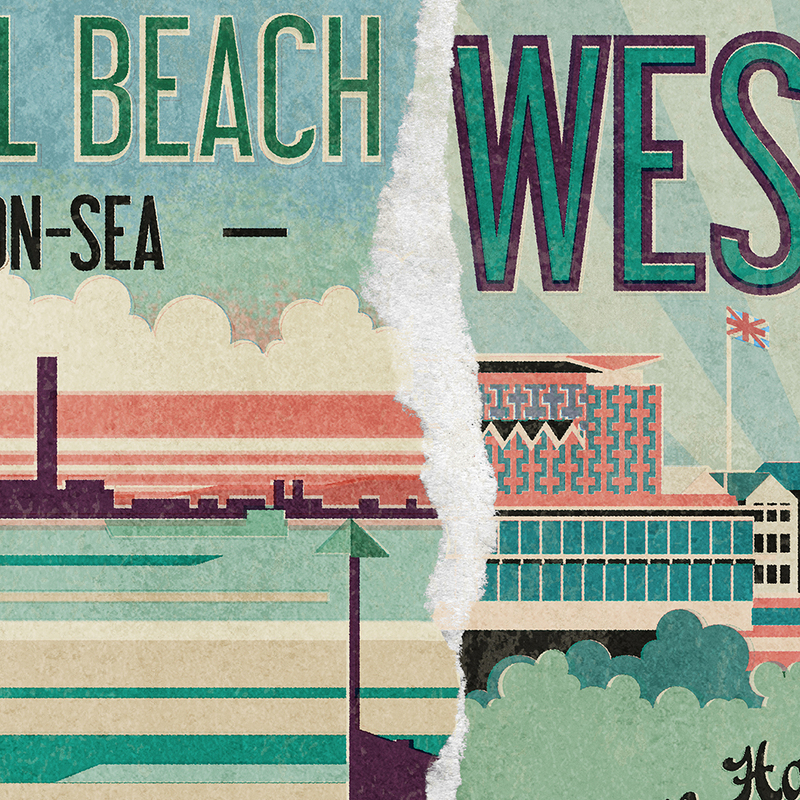 Signed framed prints available from Frame-It in Southend-on-Sea, Essex. Photo shows the Extra large 1.2m long print along with other posters on display in the window. 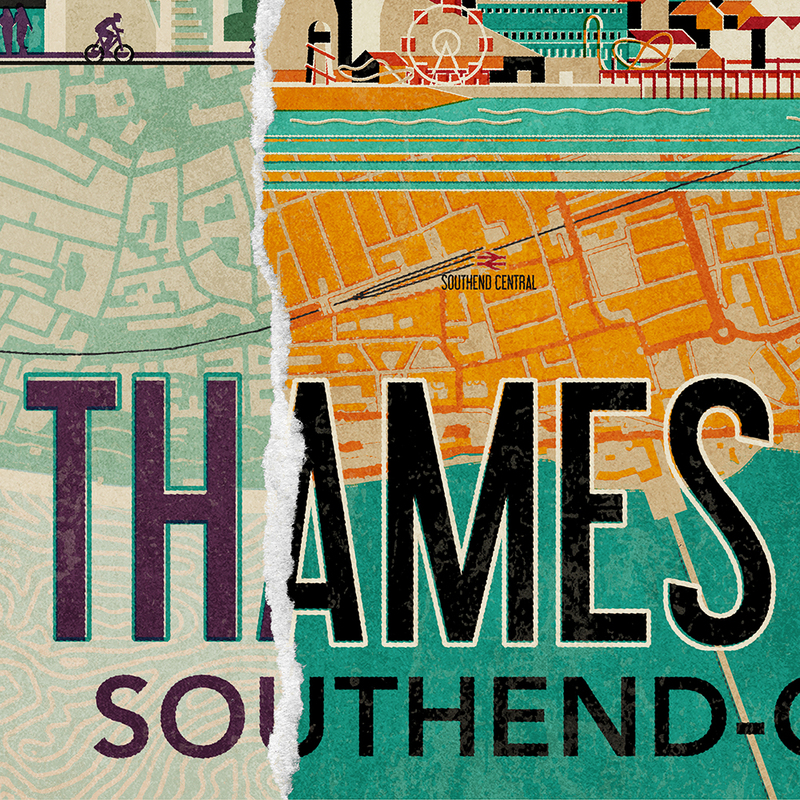 The Thames Estuary Southend-on-Sea Paper Version Available online! Extra wide format paper edition is now available to purchase exclusively online at my Etsy shop. The Thames Estuary Mug & Gift Box New! This is my first ever Fendell Posters mug and it's now available exclusively on my Etsy shop. With my Thames Estuary design on, it's the perfect gift for anyone who lives, well... anywhere near the Estuary! But I only have limited stock so don't miss out.